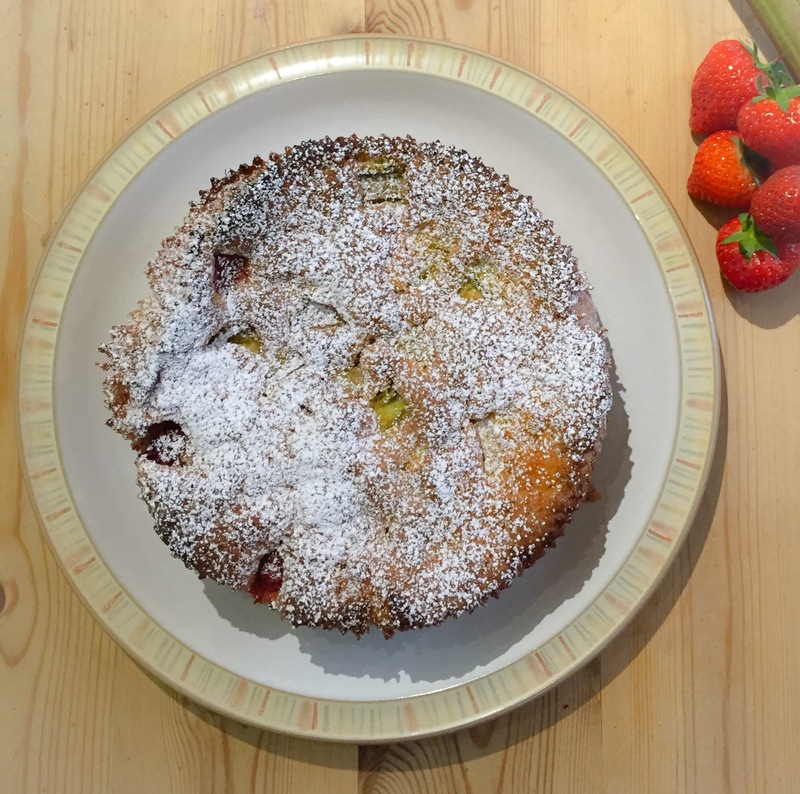 Spring is one of my favourite months for food, wild garlic, asparagus and rhubarb! Maybe I should create a recipe that incorporates all of them! 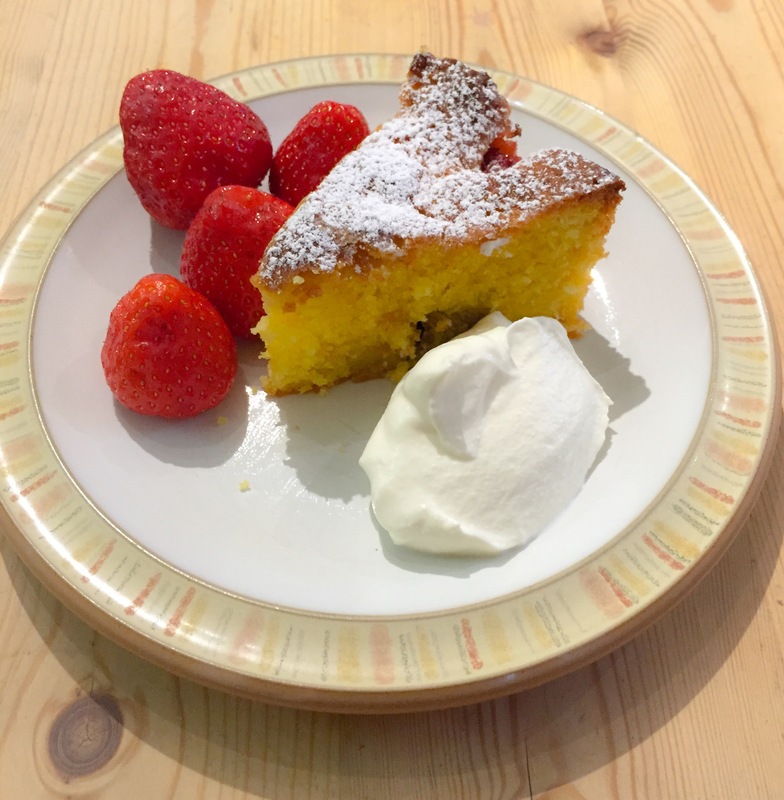 I saw the first Scottish strawberries of the year at the weekend so thought I would put the two in a wonderful almond cake to have for dessert on Sunday night. Line a 20cm round cake tin with baking parchment then pre-heat the oven to 180C. Cream the butter and sugar together until lift and fluffy. Add the eggs, flour, almonds and vanilla and almond extract, mix until everything is incorporated. Place the mixture into the baking tin. 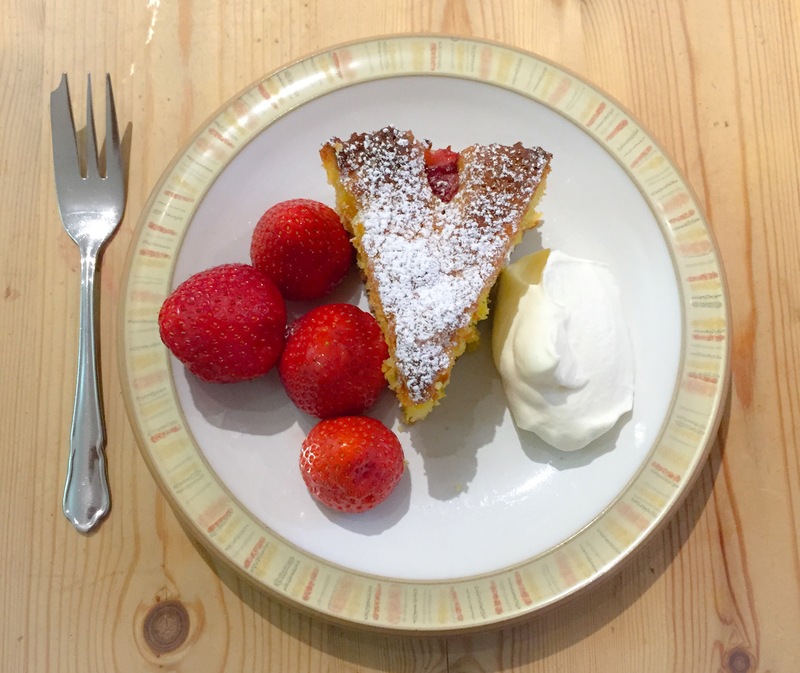 Scatter the strawberries and rhubarb over the top. The almond cake looks so moist and tasty! It looks like a beautiful dessert.